Facebook appears to be testing a tool to help page administrators who are looking to improve customer service provided via their pages. 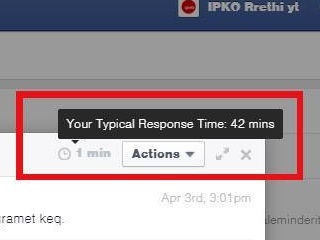 Reader Visar Breznica shared the image above with SocialTimes, in which page admins are seeing the typical response time when answering private messages from users. Readers: Have any of you seen anything similar?